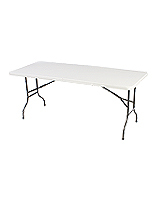 Adjustable-height folding tables fold in half for easy transport between events! Blow-molded plastic top is designed to last for years! Adjustable-height allows the folding tables to be used for a variety of applications! 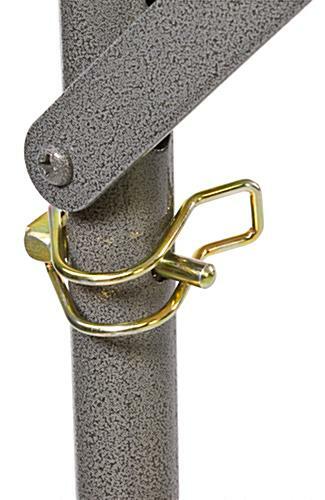 Locking legs ensure stability on multiple surfaces! 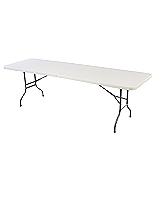 These plastic adjustable-height folding tables are a great choice for your next event. The furniture is a bit too narrow to use as a buffet or serving station with chaffing dishes (stands are too wide), but it is great as a dessert stand or to hold crock pots and other smaller items. 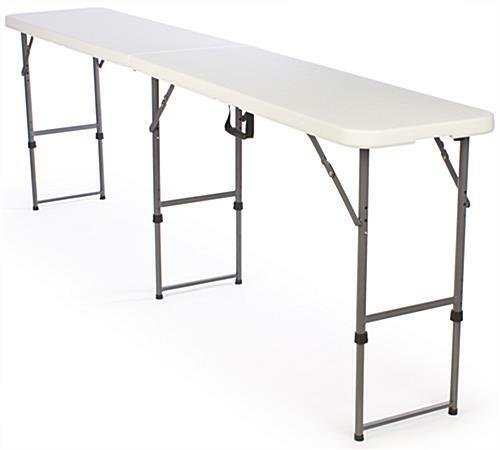 The slender adjustable-height folding tables, also known as portable furniture, can be implemented as a counter for selling goods or placing under a company tent at an outdoor event, tradeshow, or even a picnic. The stands are an economical choice for companies looking to purchase these items, rather than continuously renting. 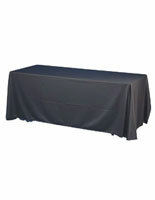 Adjustable-height folding tables are also popular among catering and party rental companies. The counters quickly pay for themselves with rental fees! Use these adjustable-height folding tables in pairs to create one long display area. The versatility and portability of these fixtures make them a great furniture item to have for any business. These portable stands, adjustable-height folding tables that adjust at given intervals between 24-1/2" and 42" high, are ideal for a wide variety of events! The versatility offered with these displays is an excellent value! Each of these adjustable-height folding tables includes three sets of sturdy grey powder-coated steel legs with locking pins. 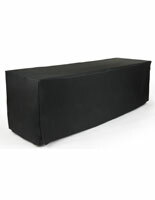 The HDPE speckled gray plastic top is waterproof and stain-resistant. 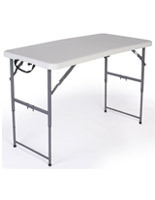 The narrow design of this adjustable-height folding tables is a great space-saver in busy or crowded areas. 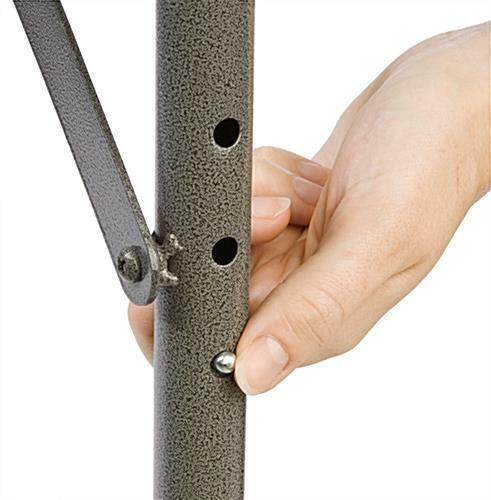 The affordable price makes purchasing multiple blow-molded table stands a smart choice. An easy, comfort-grip handle located underneath these adjustable-height folding tables, allows for easy transportation between locations. 52.0" x 3.8" x 17.8"